Preventing Commercial Structure Fires | The Voss Law Firm, P.C. Structural fires cause millions of dollars in damage on commercial properties each year, as well as priceless losses in the form of human injury and death. Although there are strict building codes in place that are designed to protect buildings, building contents, and occupants in the event of a fire, property owners can still do more to supplement their existing fire protection and sophisticated fire prevention systems. If you are currently reviewing the fire protection for your commercial property, Attorney Bill Voss would like to share a few tips that might help you better prevent structure fires in the first place or limit their impact on life and property. Developing appropriate emergency procedures. Although most businesses have developed fire safety plans, it is worth reviewing your emergency procedures from time to time. You should make sure to appoint a safety officer, post planned escape routes in visible areas, develop a plan for evacuating and accounting for employees, and develop a plan for working with emergency responders. In can also be helpful to have a plan in place for evaluating fire damage afterwards and preparing to submit an insurance claim. Keeping up with maintenance on machinery and appliances. Many fires are caused by equipment and machinery that is old, poorly repaired, dirty, or otherwise unmaintained or defective. Make sure that your commercial property is outfitted with up-to-date, working, and clean equipment. Schedule regular maintenance checks, and fix any problems quickly and carefully. Regularly evaluate aging or heavily used electronic equipment for potentially dangerous issues, like frayed cords or shorts. Limiting fire hazards. Fire hazards can exist inside a building or outside, and it’s up to you to reduce the risk. Maintain outdoor landscaping to leave a safe distance between organic material and outside walls. Store flammable materials appropriately, and keep escape routes clear. Identify potential hazards quickly, and review these hazards when there are significant changes to the property or its function. Maintaining safety equipment and systems. Even if you can’t prevent a fire, you can prevent it from spreading and causing structural damage. 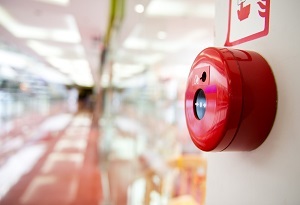 Keep your building’s sprinkler system and fire alarm system up to snuff. Equip the building with the right fire extinguishers and sprinkler networks for the job. Make sure these lifesaving systems are in working order at all times, and replace outdated safety equipment as soon as possible. Enforcing rules and regulations. None of these steps are likely to make a difference in your fire protection if you aren’t enforcing the rules or following through with maintenance. Make sure employees, building tenants, and others are informed about the rules for fire prevention and how to follow emergency procedures. Ensure that maintenance routines are performed and that potential safety issues and replacement needs are addressed in a timely manner. Is Your Business Having Trouble Recovering From a Structure Fire? Structural fires can be devastating for property owners, business owners, employees, and clients. A big part of moving forward, making repairs, and recovering from an incident is maintaining appropriate insurance coverage, knowing when you’re being treated unfairly by the insurance company, and getting your insurance claim paid appropriately. At the Voss Law Firm, we assist property owners with the claims process and fighting insurance companies that deny, delay, and don’t pay valid claims, and we would be happy to talk with you about your concerns. If you need help, call our law office today to speak with an experienced commercial insurance claim attorney, or start getting informed now with our free book, Commercial Insurance Claims: The Basics.